Catfish In A Cichlid Aquarium. 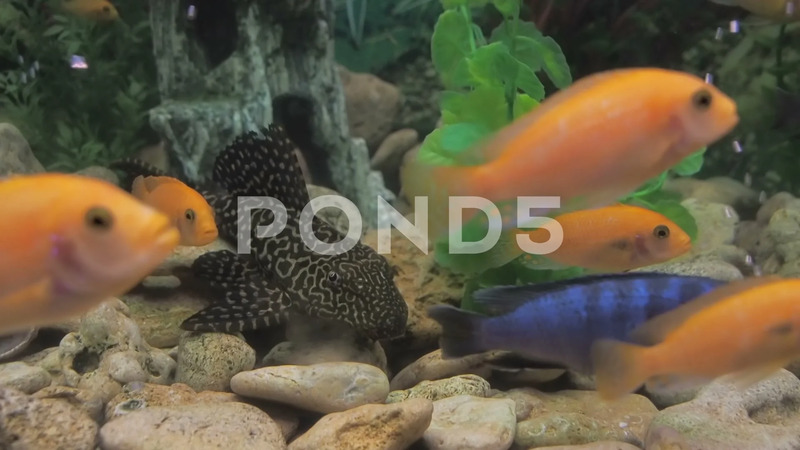 Description: Catfish in a cichlid aquarium. Antsistrus with colored cichlids.